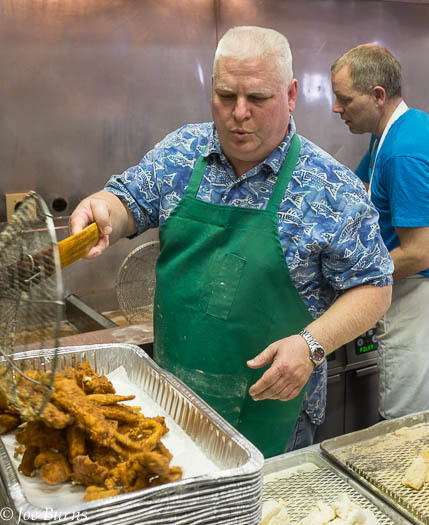 Dan Naughton dumps a basket of hot fried fish into a serving pan. 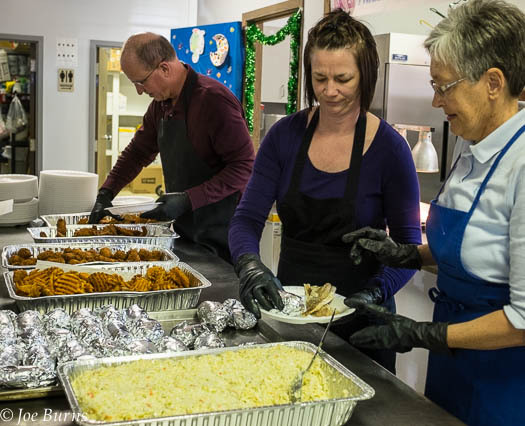 Over the past 17 years, St. John the Baptist Church in Fort Calhoun has become a popular stop for fish fry enthusiasts from throughout the Omaha Metropolitan area. Each Friday throughout Lent, nearly 1,400 to 1,500 or more diners cue up and socialize while they wait to eat or take out the traditional and Cajun seasoned fish dinners. Batter up. 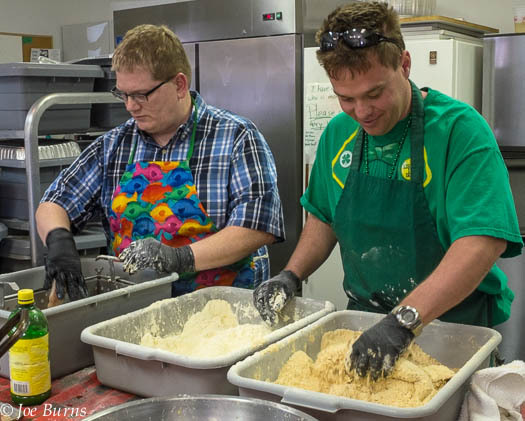 Harold Boudreau and Reid Gloden coat the fish in seasoned flour mixture.